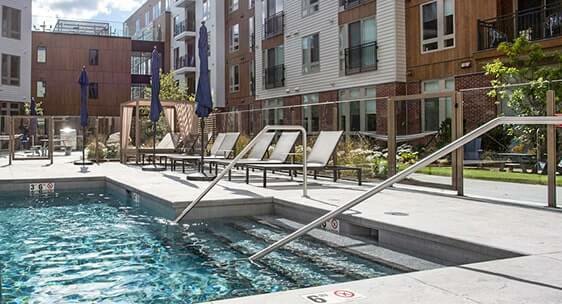 The Kendrick of Needham, MA is a new luxury apartment complex with great amenities and pristinely kept grounds. Massachusetts is known for cold winters and high winds. 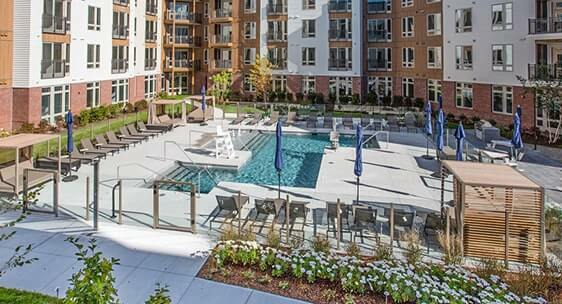 The property managers needed something strong enough to withstand harsh weather while adding style to their community at the same time. We provided them with 250 feet of our AWS Aluminum Windscreen system paired with four self-closing AWS Commercial Gates. 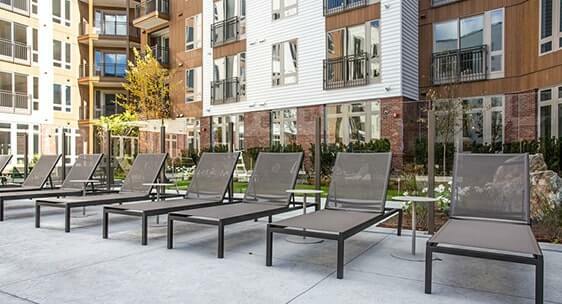 They know have the strongest system to protect against uncomfortable cold winds while meeting all local safety codes.